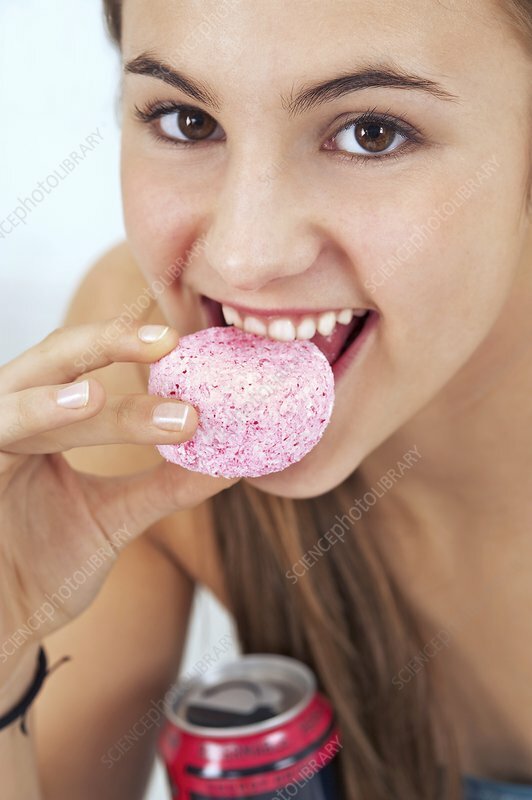 Teenage girl eating a sugary snack. Processed foods that are high in sugars provide a temporary energy boost. However, this is less healthy than eating foods containing complex carbohydrates that take longer to be digested and provide a slower release of energy. At lower centre is a can of soft drink, which also contains sugars that temporarily boost energy levels.